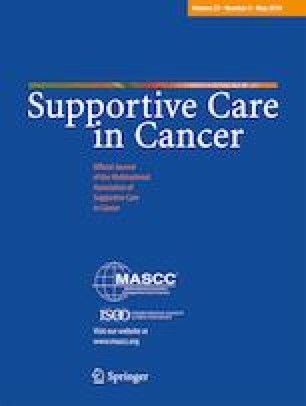 The aim of the present study was to evaluate oral health–related quality of life (OHRQoL) among breast cancer survivors and identify possible factors associated with the outcome. A cross-sectional study was conducted with 151 women in follow-up at a hospital after treatment for breast cancer. Data were collected on socio-demographic characteristics, general health, and breast cancer. Clinical examinations were performed to determine caries experience using the decayed, missing, and filled teeth (DMFT) index. The Oral Health Impact Profile (OHIP-14) questionnaire was administered for the assessment of OHRQoL. Logistic regression analysis was performed to identify associated factors after adjustments for confounding variables. The mean OHIP-14 score was 12.8 (SD 10.92). The prevalence of negative impact was 58.9%. A negative impact was associated with depression, the diagnosis of breast cancer, chemotherapy, number of restored teeth, and xerostomia (p < 0.05). In the adjusted analysis, only the oral variables remained significantly associated with the outcome. A greater number of restored teeth and xerostomia exert a negative impact on the OHRQoL of women who have survived breast cancer, which suggests the need for special attention to the oral health of this population. This study received approval from the Human Research Ethics Committee of Universidade Franciscana (certificate number: 1.876.689), and all procedures performed in studies involving human participants were in accordance with the ethical standards of the institutional and/or national research committee and with the 1964 Helsinki declaration and its later amendments or comparable ethical standards. All participants signed a statement of informed consent.